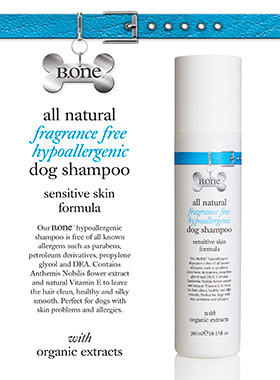 Our all natural hypoallergenic shampoo contains gentle and highly biodegradable, vegetable derived cleansers that effectively cleanse the hair with a luxurious lather. 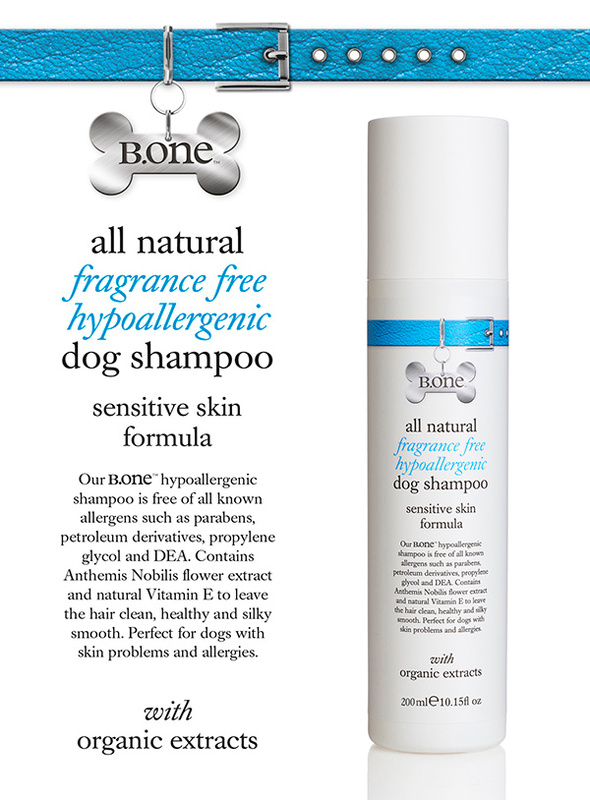 It is free of all known allergens such as parabens, petroleum derivatives, propylene glycol and DEA. 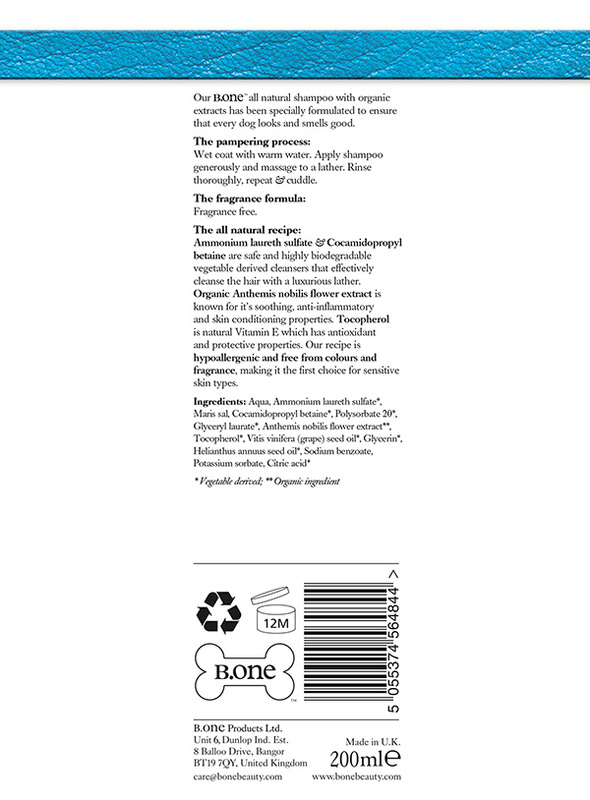 Contains anthemis nobilis flower extract which is known for its soothing, anti-inflammatory and skin conditioning properties and natural vitamin E. It will leave coats clean, healthy and silky smooth without stripping the coat of natural oils. 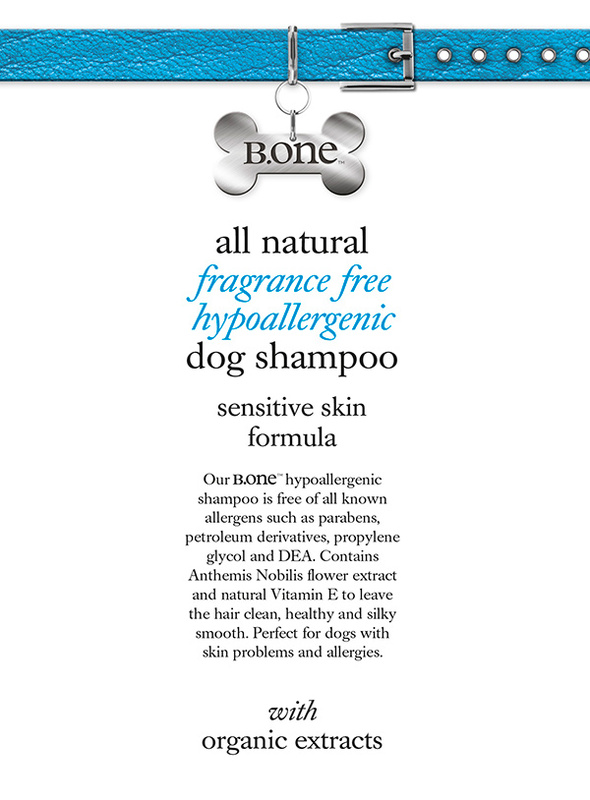 Our recipe is hypoallergenic and free from colours and fragrance, making it the first choice for sensitive skin types, perfect for dogs with skin problems or allergies. B.natural.